Here at Mayfield, we are all about building and fostering amazing long term relationships! We genuinely care about empowering you to make the best choices for your lifestyle. Our projects integrate the highest quality materials behind the walls, are beautifully finished and easy to maintain. We renovate homes to reflect your unique personality! Love the location of your home, your neighbors, and your yard, but is the interior of your home tired out and ready for a whole new look? Welcoming a new family member, or heading into retirement? It may be time to increase your living space by adding a second floor, developing your attic, or a ground level addition. Opening spaces by removing walls, changing stair locations, adding patio doors and more can help create a floor plan that is perfectly functional for your needs. Is the heart of your home causing you stress? We can help turn your kitchen into a beautiful space that allows you to enjoy living together in harmony. People are living in wood frame homes that are 500+ years old in other countries! 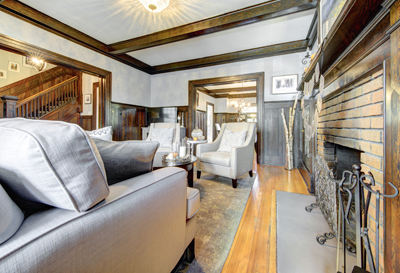 Creative structural design will allow you to preserve your beautiful century home while modifying it to suit your lifestyle. Bathroom renovations you'd want to live in! From inception to completion, every step of your renovation must be planned and thought out. We take care to do each step properly, and firmly believe that if you are going to make the investment to renovate your home you deserve solid construction that will endure for many years to come. We are specialists in renovations with structural changes, such as kitchen renovations involving the removal of walls between the kitchen, dining and living room areas. We use only products that have been well researched to provide you with the most enduring construction. WHY CHOOSE MAYFIELD RENOVATIONS FOR YOUR HOME RENOVATION? With our A+ Rating at the Better Business Bureau Mayfield Renovations is committed to providing our customers with superior value at the highest level of quality. Our company is recognized within the renovation and building industry for merit, achievement and reliability. We hold a valid Builder License, Liability Insurance, and Worker Compensation, and we only engage with reputable suppliers and licensed trades. Our reputation is further evident with our numerous industry memberships and affiliations. We design and build amazing places that our clients just love! Karla Mayfield joined Mayfield Renovations Ltd. in 2004 and is now the acting President. She was instrumental in developing Mayfield Renovations Ltd. from the solopreneurship that her father started in 1978 into a respected corporation known for its expertise and creativity in modifying existing floor plans into uniquely functional homes. Since starting her first business at the age of 16 Karla has been mentored by her father, James Mayfield on providing an exceptional client experience, business principles, and once she joined him in 2004, specifically on how to build and modify residential homes with excellent workmanship. Karla graduated from SAIT Polytechnic’s Civil Engineering Technology program in the spring of 2015, in order to add knowledge of structural engineering to the creative solutions the Mayfield team is excited to provide to their homeowners. Karla and the team at Mayfield look forward to sharing their creative ideas and expertise with you, believing that through the sharing of our knowledge of residential construction, you are empowered in making the best choices for renovating your home to perfectly suit your personality! We look forward to working with you. 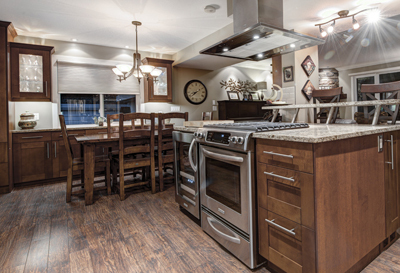 Our renovations are covered under the Alberta New Home Buyer Protection Act which protects your investment with us. We are very proud of the services we provide. Here are a list of commonly asked questions. 1. Do You Provide Fixed Price or Cost Plus Contracting? Mayfield Renovations Ltd. provides fixed cost, plus allowances contracting. What this means is that once the scope of your renovation has been clearly defined, all of the tasks which are a known quantity are estimated and converted into a fixed cost amount. Tasks that are included in the fixed cost portion of your project will include items such as demolition, plumbing, electrical and HVAC rough-ins, insulation, drywall, painting, and other tasks that can clearly be accounted for prior to the start of your renovation. Items that are included in the allowance portion of your project are items that are required for the scope of your renovation, but which you will work with our designers to choose what accurately reflects your style preference. These items are typically all finishes and will include items such as flooring, cabinetry, countertops, plumbing fixtures, light fixtures, handles and more. We provide you with averages for your allowance items that previous clients are using for renovations with a similar level of finish to what we believe you will like in your home. You will direct the final cost of your renovation by the choices that you make in the allowance items that are required for your renovation. Mayfield Renovations Ltd. chose to provide our homeowners with allowance budgets from what previous clients are choosing so that you have the freedom and flexibility to choose exactly what you want, rather than choosing from a limited selection of what is available. 2. How Accurate Are Your Estimates? With renovations, there can be many unknown factors that are not exposed until the area being renovated has had demolition completed. Our estimates are accurate for the scope of work that is covered in the estimate. 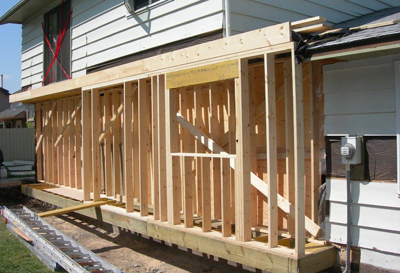 Changes and increases in the overall project come from when/if items that do not meet current National Building Code of Canada (NBC) standards, and if homeowners add to the scope of their project. Areas that are uncovered during demolition that do not meet Current NBC are called contingencies, and must be brought up to current standards in order for City of Calgary building permit inspections to be approved. Contingencies occur in some renovations due to technology improvements, and sometimes due to poor workmanship from when the house was originally built or in a previous renovation. Many design experts recommend having a separate savings account for 5% – 10% of your overall renovation budget to fix and repair any contingencies that may be uncovered during your renovation. 3. How is my project invoiced? The fixed quote amount of your renovation is divided into percentages of the overall fixed quote amount and is invoiced as milestones are met during your project. Milestones may include demolition, rough-ins (plumbing, HVAC and electrical), drywall, cabinetry, flooring, etc. Allowance items are invoiced with the next milestone, after they are purchased. 4. Can I purchase my own allowance items? Some allowance items must be purchased through the existing account that we have with that vendor, and therefore are purchased by Mayfield Renovations Ltd. Some allowance items can be purchased direct by our homeowners. Once the scope of your project has been determined, we will advise you on which allowance items you can purchase directly. 5. Will my renovation run over budget? If no contingencies are uncovered during your renovation, and once you have finalized and signed off on all of your design choices with our interior designer, your project will run on budget and all charges will be identified along with when you can expect them to occur. 6. Does Mayfield Renovations Ltd. sub-contract out work? Mayfield Renovations Ltd. sub-contracts out all work that requires City of Calgary permits and inspections, and specialized skills. 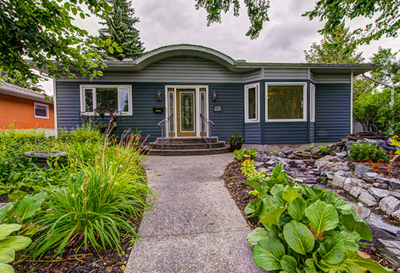 These subcontractors are experts in their areas of workmanship, licensed with the City of Calgary, and carry the same Core Values as Mayfield Renovations Ltd.! Sub-contractors that may be a part of the team for your project could include: architect, structural engineer, plumber, HVAC contractor, electrician, flooring installation, cabinet maker, tile setter, etc. By working with a team of professionals that work specifically in one area, the level of finishes in your project will be much higher than if your contractor is a generalist and has not perfected that art of each stage of finishing your project. Sub-contractors take years to perfect their skillsets, so you can expect a level of finish that is not possible from someone who only occasionally does these tasks. 8. What is a Design-Build renovator? 9. What is a general contractor? The residential renovation company that you hire for a large-scale renovation will be a general contractor. For the purpose of a renovation, a GC (general contractor) will act as the project manager and will handle all aspects of managing and overseeing your project. An excellent GC will have good working relationships with each sub-contractor that will be required for the scope of your project, and will have the knowledge on who is required, the timing, and what the cost should be for each task. The GC will ensure that the sub-contractors who are working on specialized areas of your renovation provide high quality work, that tasks are scheduled in the correct order and are fully completed, including all of the fine details required between each sub-contractor’s task. 10. How Experienced Are Your Project Managers? We manage our projects as a team, with weekly team meetings to be fully up-to-date and well informed on each project. This collaboration ensures that your renovation has the creativity and input of each of our minds, personality types and expertise. Our in-house team has a combined experience in the residential construction industry of over 100 years! We have worked on projects in the United States and Canada, and in Saskatchewan and in Alberta. Our expertise includes modifying residential structures with wood foundations, ICF (insulated concrete foundations), balloon framing (Century homes), to nowadays platform framing and much more. 11. What Is Your Cost Per Square Foot? As Karla wrote in the Three Pillars of Functional Design in Renovations, excellent renovations are like creating a custom home in the area that you are renovated. 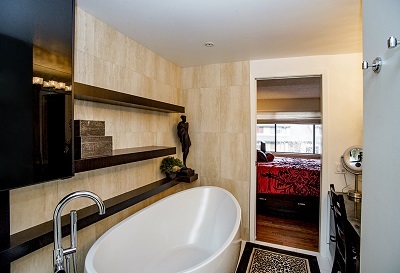 Due to this, the cost per square foot with Mayfield Renovations Ltd. can vary from $100/sf to $800/sf or more. The factors that will influence what the cost per square foot is on your renovation will be determined by the level of finishes and upgrades that you choose for your personal comfort and preference. 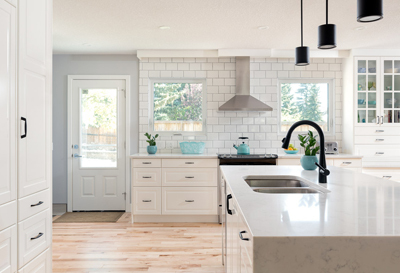 Due to the importance of truly modifying your home to perfectly you’re your needs, Mayfield Renovations Ltd. does not quote on a per square foot cost basis. 12. Where Can I Get Customer Feedback? We love hearing from our homeowners! Please see what our clients are saying about us here, and make sure to check out the galleries that are linked to some of our client’s stories*. Click here for more client stories. Click the button below to access our more extensive Frequently Asked Questions section. We live by our Reputation. That's why we ensure that the utmost care is invested into your home renovation.